A few poems, written whilst I was away over New Year. Most were posted first on Twitter (micropoetry is, for me, the best thing about Twitter) and thus written quickly, reflecting the medium. I’d like to say everything has sorted itself out, writing-wise, since my last post but I can’t, because it hasn’t. I’m in no part closer to finding the spark missing from my manuscript. Something has changed, however, as a result of a couple of helpful, sensible conversations – thank you, Jane and Colin. I am worrying about the whole thing less and that is, I hope, the beginning of progress. Even though I’m not sure when, or even if, I’ll start writing again, not worrying about not being able to write feels like a burden has been lifted. Not writing now doesn’t change the fact that those books I have written are out in the world. Anyway, today is the solstice. The winter solstice in these parts, and a grey, wet rainy day it was too. Nominally we get about seven hours of daylight but it was so dreich it never really brightened. It’s still raining. But, from tomorrow, the days will be getting longer. Midwinter. The king walked through the wood, snow on the branches, frost on the trees. The darkness parted itself around him, the splinters of frost shining bright as the stars in the sky. He walked in silence through the night and left no mark upon the snow. Tonight, as he walked out of the wild wood into the world, there were no boundaries between a dream and waking. The king stood between the earth and sky. When he spoke, the world fell quiet to listen. “If you are there, show yourself.” The meadows were full of shapes and shadows. Light and lovely as the falling snow, the liùthion danced around him, existing only at the edge of vision, in the world and out of it. Their dance span and wove its patterns across the meadows as snowflakes span across the sky but the king was the still centre, the fixed point, more solid than any flesh, more real than any dream. The world was ever changing but he endured forever and for always. His voice was the gentle cold of falling snow. “Come out of the dark.” He held his hand out to a darker shadow beneath the shadows of a bone-bare tree. “Are you come to beg an apple?” The words rang out into the night, the clear cold of broken ice skimming across a frozen loch. The king raised his hand. The music died away to a memory of sweetness and loss, the liùthion were gone; nothing was left to break the emptiness of snow and frost. All that remained was the wind upon the meadows, the soft and silent fall of snow upon the night. The piper shivered in the silence and the cold, because he was afraid, as he had never before been afraid, even on that longest day when the sun burned fierce and still above him. The piper held out his hands. The king took them in his own, cold hands and turned the palms face up that he might study them. The king said only, “Yet, even now, you seek to shape the future to one of your own choosing.” His face was quiet and still, free from anger, and from love. He spread wide his hands. The sky around him was jewelled with starlight; the wind and the land and the empty air filled again with music and shadows. He danced and the kindred of the borderlands danced with him in the long night, and there were no boundaries between a dream and waking. The piper watched, and let old memories rise through the years to the surface of his mind. Here and now, he knew how much he had feared and how greatly he had failed. Above his head, the winter trees, white and clean as last year’s bones, stretched out their branches to the stars. A long, long while passed by before he turned away, limping back into the shadows towards the company of men. I’m in the throes of revision of a manuscript that will be the third, and final, book in the sequence set in and around the Later Lands. The story is pretty well worked out and now I’m now thinking about structure and patterns. As I’ve said previously, I like prologues and, to fit in with its predecessors, I’d like this book to have a prologue. Thing is, as the prologues of After the Ruin and The Crooked Path were set in the past and present, respectively, this one needs to be set in the future (hence, This is what will happen). That offers a problem: a prologue is set in the future will almost certainly give a glimpse into how my story unfolds, and people can be very sensitive about spoilers. I’m not myself, by the way. I’m not going to tell you who killed Roger Ackroyd but most of the time I reckon it’s not what happens that matters, but how and why it happens. If all the merit in a book is lost because one knows a twist or ending in advance I think it a pretty one-dimensional book. I’ve reread The Murder of Roger Ackroyd several times, not because I forget whodunit but because I enjoy its cleverness and sleight of hand. Likewise, I came to A Song of Ice and Fire late enough to be aware of most of the major plot turns, but the detail of how the story reached those points was interesting enough in its own right to keep me reading. But readers’ opinions on these matters differ, and sufficient people do care for me to be wary. The solution, I think, is to set this prologue far enough beyond the end of the story that it gives very little away as to the what, and nothing at all about the how and the why. If you should happen to be someone who cares about spoilers, by the way, don’t worry. The text below is something I wrote to amuse myself as a distraction from revision. Whilst it’s a future, it’s almost certainly not the future, and though it’s a prologue, it’s almost certainly not the prologue. The fun of writing – and revising – is that these things are not set in stone until a very late point in the process. Between now and then, almost anything could happen. Twilight in Ittachar, a day not long past midsummer. The cool blue of a summer’s evening thickens into dusk in the hollows of the hills, though the western sky above the sea is still wreathed with the fading glory of the sunset. Oystercatchers call, one to another, as they probe for mussels ’twixt rocks and weed. A dog seal hauls itself ashore and rests at the water’s edge, its scarred flanks lapped by the waves of the retreating tide. The birds, no doubt, mark its appearance but a seal is of no concern to them. They are more wary of the boy walking the shore. A little less than a man, this bright-haired boy, a little more than a child, gangling and awkward in his newfound length of limb but filled with the promise of strength to come. He stoops now and then to pick up little things that catch his fancy: a shell, a curl of driftwood, a pebble round and white as the full moon. A stranger, seeing his homespun shirt and leather trousers, his short cloak of unwashed wool, would mark him as a fisherman’s son. At the second sight, a stranger with a careful eye might pick out the ring on his right hand. The seal stirs with a shiver and a shudder. An oystercatcher whistles a warning and all the birds lift as one, pied wings beating away across the halflit water, as a man rises to his feet at the tideline and shakes saltwater from his hair. He flings up an arm in answer to the boy’s wave, then strides up the shore with a grey seal’s skin draped across his arm and a crunch of shingle ’neath his bare feet. A shadow detaches itself from the gloaming and clots into a man. He is garbed as a fisherman, with a fisherman’s wooden charm hanging round his neck. His black hair is touched with silver and his black eyes are filled with laughter. The boy looks from one to the other, reading the expression on their faces, their shared ease born of long familiarity. His face curves into a sly, sweet smile. His voice has broken in the twelvemonth since he learnt the song and its tune no longer soars into the tall sky, like a gull into high sunlight, but each note still chimes clear and true. Above the hills, the stars prick into life, by one, by two and three. The boy obliges, and the men take up the chorus. Then, together, they walk up the path towards the village, sad stories of the death of kings driven from their minds by a song of vengeance and of glory. And far away, the other side of time, the quiet queen stands in the shadows of the apple tree. Her cloak is tattered and her feet are bare but there are stars tangled in her hair. About her and around her, the dancers of the borderlands whirl and swirl to the music of the stars and sea, singing the song of the wind upon the water. Longtimes she watches, knowing all things of all men, the living and the dead, until the three of them, the fisherman, the seal, the boy, reach the low, thatched cot and step inside out of the night, and close the door behind them. Did this night happen? Not yet, perhaps not ever. There is as yet no fisherman, no half-grown boy to be apprenticed to a potter, no queen across the water. The future is a tale cannot be written, not even on the air or in running water. It lies forever out of reach, less tangible even than a dream. 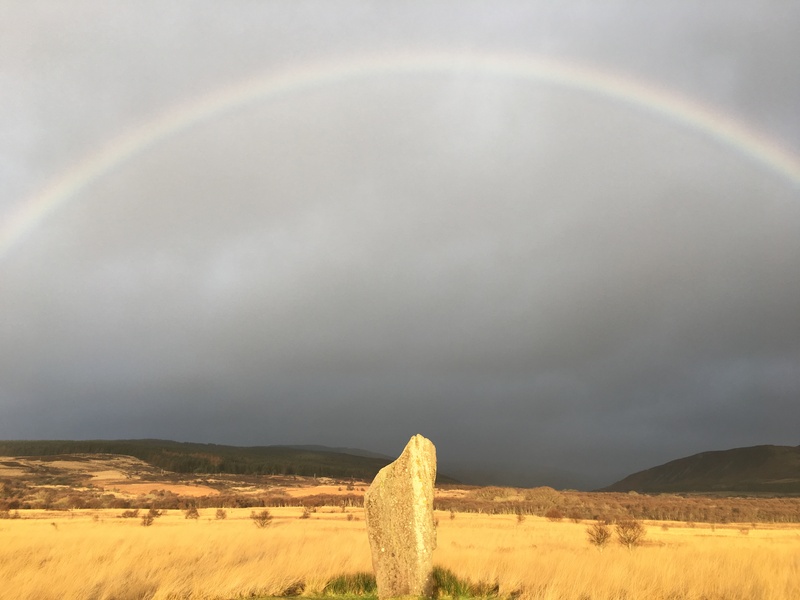 But, as stories link together, like beads upon a chain, like dancers joining hands to form the figures of a dance, the future is shaped by the present and the past, and so – if the world is kind and hearts are strong – this eventide in Ittachar is what will happen. This started out as a blog about folk songs. It’s evolved since then into a more general blog about books and writing, but the songs are still there in the background to my work. The inspiration they provide is nothing like as direct as in Diana Wynne Jones’ Fire and Hemlock, which is a fairly faithful version of Tam Lin in novel form, albeit a version with an admixture of Thomas the Rhymer. I’d no wish to rewrite or retell the stories from particular songs in either novel. Old songs, however, do set the mood for each book. Like the Child Ballads, After the Ruin is full of revenge, love, betrayal and longing. Poetic grimdark, a good friend called it once, and that’s as good a summing up as any. Although each chapter of After the Ruin has its own epigraph, three particular songs underscore the book. These are The Unquiet Grave (Child Ballad no. 78, which is a dialogue between two lovers, one living, the other dead), The Bonnie House of Airlie (Child Ballad no. 199, an account of what happened when Lady Ogilvie defied the Campbells), and Tam Lin itself (Child Ballad no. 39; it’s hard to escape the pull of Tam Lin – it is perhaps the greatest of all the ballads). The Crooked Path is rather different in mood from After the Ruin. It’s a lighter book, certainly for me as I was writing it and, I think, for a reader too; it’s less intense, a fairy tale rather than a high fantasy. This time there’s no particular set of songs to pick out as more influential than the rest, although again, when it was taking on something like its final form, I made the conscious decision to use verses as chapter epigraphs. Always, something of that song is reflected in the following text. Sometimes it’s an image, sometimes it’s a hint towards an aspect of the plot that hasn’t yet been made clear. This time the epigraphs tended to be taken from folk songs, such as Braw Sailin’ on the Sea or Cold, Hailey, Rainey Night. Indeed, overall, the mood is of a folk song rather than a ballad; if there’s betrayal, it’s not followed, inevitably, by tragedy, and, if it’s poetic, it’s certainly not grimdark. But for both novels, the epigraph verses offer a playlist and a possible approach to the story. I think of it as a form of intertextuality, and, if you’re minded to search out the songs from which they’re taken, you’ll get a fair idea of the mood I was aiming for as the story unfolds. 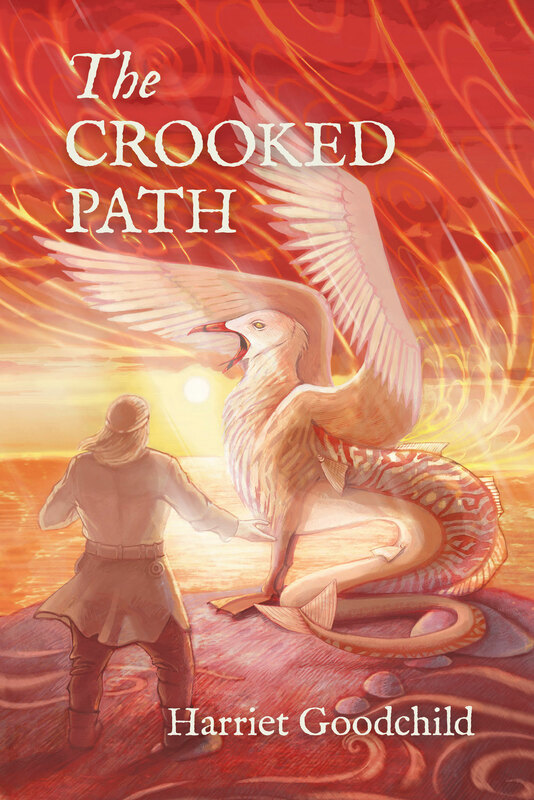 The Crooked Path is published today! Stories link together. What is done in one time and place spreads out across the world to shape the future: there is never a single beginning, never a simple end. But, since this tale must have a beginning, let it be when a potter carves a creature from dreams and driftwood. It carries him to a place where fair faces conceal foul intent, where two kings guard the firstborn tree by night and day, where only a living man’s love can undo a dead man’s hatred. And where, if he does not go carefully, the choices made in other times and places will cost him his life. I don’t like talking about myself online. I don’t really like talking online. It took me ages to come up with the extra facts in the previous paragraph: they needed to be true but utterly innocuous. That’s why they’re so generic. Could be anyone. All the truly informative stuff, the details that are important to me, and probably of much greater interest to you than my taste in sweets, stays offline. Some people enjoy social media, others don’t. This blog, and this blog post in particular, are as personal as my online exposure gets. I tried facebook but didn’t get on with it at all and visited less and less often until I realised one day I’d not logged in for months. It’s unlikely, I think, I’ll be going back. Family, work, day to day successes and failures, general elections, Brexit (or not), Independence (or not)… I prefer to engage with all such matters offline. I’ve had more success sticking with twitter but, even so, I tweet very rarely. Engaging with social media is like being at a shouty party all the time. It’s not the ideal milieu for an introvert. It’s my books that are out in the world, not me, and so most of the time I prefer to stay behind the curtain. That’s why this blog is filled with bits and pieces of my writing, and only the occasional, sidelong glimpse of me. But I shall be at FantasyCon by the Sea next month so, if you want to find out what I’m like, that’s your chance. There will be a table selling a range of Hadley Rille’s fantasy novels, including The Crooked Path. My fellow HRB author Irene Soldatos will be with me. If you’re there, come and say hello. I do like talking face to face. I’ve not been able to write much this month. I won’t bore you with explanations; suffice it to say I’m a bit down and at such times things spiral. Anyway, here’s a poem about trying to write poems. Poems and cats, alas, cannot be coaxed. They come not at your will but at their own. To show you have dismissed them from your mind. They come, not at your will but at their own. Since they are curious and contrary. They come when it is least convenient. Would you wish either to be otherwise? A lesser creature, summoned on demand?